Has someone hurt you? Sadly, some don’t seem to care that they did and some don’t even know they did. Forgiveness is a hot topic and hard to choose to work on sometimes. If you want to live a life of freedom, choosing to forgive those that hurt you will reap priceless benefits and help you parent. 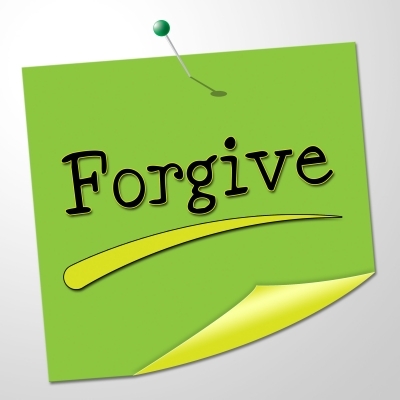 Along with single parenting are the feelings of hurt, pain, numerous changes, and…drum roll please….forgiveness. Truth is, it can be easier to carry around bitterness and play the blame game. Forgiveness is tough stuff but so life changing without a doubt! In my book, Single Mom Survival Success, I share some important principles to help process this whole forgiveness issue in Chapter 11. I experienced it firsthand. “Forgiveness is not something we flippantly do. I believe without a doubt that forgiveness is a process. As humans, we can never, never forget the pain that someone else has caused us. Forgiveness, however, releases us from the power of that pain. First, I had to forgive myself. I started to unleash the painful past and take small steps forward, I began to not only forgive myself but love the person God had made me to be. That didn’t happen overnight, but it did happen. “Do as God does. After all, you are his dear children. Let love be your guide. Christ loved us and offered his life as a sacrifice that pleases God (Ephesians 5:1-2, CEV). Second, I asked forgiveness from God. God often gets blamed for people’s choices. This isn’t new to Him. Why would God allow such pain for me, and especially my little girls? I was angry with God, wondering why He wouldn’t fix it. I had to make a decision how I would respond to God when tragedy and unfair situations hit me sideways the next time and the next. Why not take some time to process your journey as it is and ask God to forgive you for putting blame on him? Thirdly, I forgave my ex-husband. Marriages are not perfect, and mistakes are made. The bottom line is that as a single mom (dad), your marriage is done. The line has been drawn. Pain and hurt are at the surface of your emotions. It is time to stand at the crossroads of your life and decide if you will forgive your ex-husband (wife). Forgiveness is not agreeing with his (her) decisions and freeing your ex from his (her) behaviour. Some ex-husbands (wives) will never ask for your forgiveness or even admit they did anything wrong. 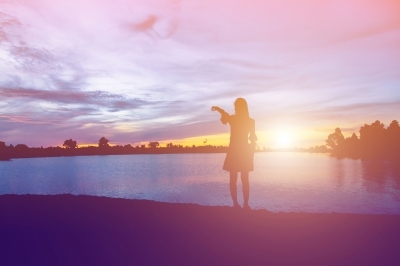 Forgiveness is not only a process toward healing, but it also frees you! It is deciding in your heart to let go of the ex-spouse’s unwise choices, his (her) lack of love and respect, and begin to let the wall of unforgiveness fall to pieces. Take your time, but don’t take forever. Instead, be kind and merciful, and forgive others, just as God forgave you because of Christ (Ephesians 4:32 CEV). This entry was posted in The Tool Box and tagged Forgiveness, Forgiveness Do I have to?, Freedom in Forgiveness, God Forgives, It is tough to Forgive, Linda R McCutcheon Forgiveness Do I have to?, Single Mom Survival Success Forgiveness: Do I have to?, Single Parents and Forgiveness, The Benefits of Forgiveness by Linda McCutcheon. Bookmark the permalink.